Freestyle program runs on weekday from Monday to Friday. Reservation is available from 2Day 1Night to 5 Day 4Night. Ceremonial service in Buddha hall and meal time are the program. And other free time participants can have free time to rest and tour. 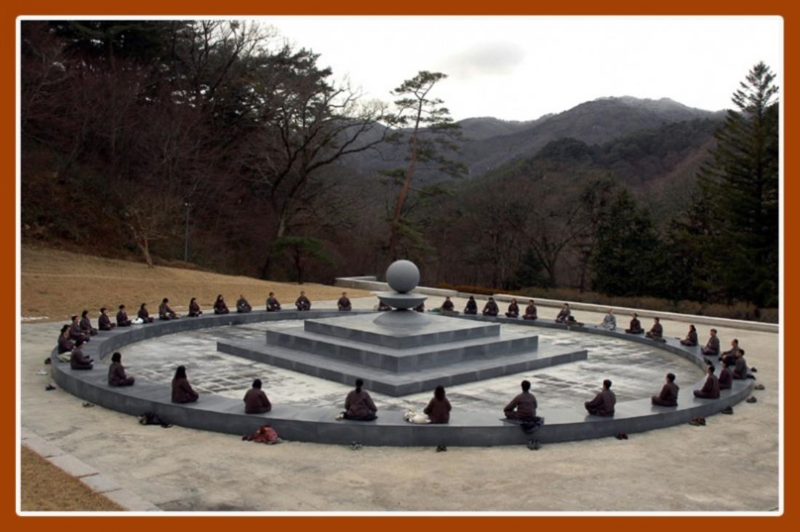 Participants in Haeinsa’s program can have the unforgettable experiences of hearing the sound of the throbbing Dharma drum pierce the crisp, clear, early morning air, and visiting the mountain hermitages around the temple, where many sunims live. There are lots of amazing places to see in addition to Haeinsa temple. It would be a good idea if you arrive earlier to have some time to look around. -Take the bus M6427 at Gangnam (or Sinnonhyeon or Nonhyeon or Banpo) station. -Get off at Gimpo Transit Transfer Centers/Hangaram/Solteo Maeul. -Transfer to a bus No. 60-2, No. 700 or No. 700-1. -Get off at Onsu-ri stop with additional 15~20 minute walk. Seoul train station ~ Dongdaegu train station by train. -Get off at Seongdangmot station and then move to Seobu Bus Terminal. Daegu Seobu Bus Terminal-Haeinsa Temple by bus. The buses run every 40 minutes. It takes 1 hour and half by bus. Haeinsa bus stop is the last one. You can get off at one stop before the last one. You need to walk for 25 minutes to get here. Or you can take a taxi at the last bus stop, which costs 5,000 won. The trail to get here is so beautiful that I recommend you walk here. Daegu Seobu Bus Terminal ~Haeinsa Temple by bus. The takes 40 minutes by bus. and then take a bus to Haeinsa Temple at Goryung Bus Terminal in Busan. The buses run every 40 minutes. And then you can walk up to Haeinsa for 20 minutes or take a taxi at the last bus stop which costs 5,000won. If you have any problem in making a resrvation, please send me e-mail or call me for reservation.